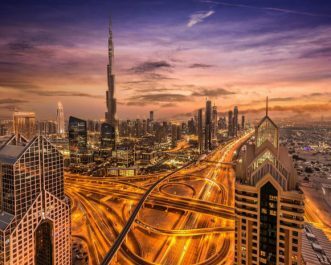 Dubai is pure delight to visit. It is a place that can entertain all age groups. 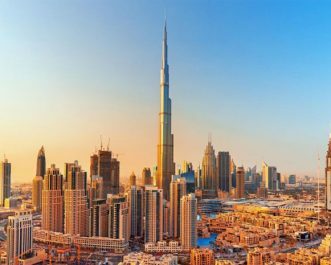 Dubai has some of the most fascinating theme and amusement parks here that will leave people of all age groups having the best time of their life. Here are some places which will make the kids of the family enjoy the most and give time to the adults to relax for a while. 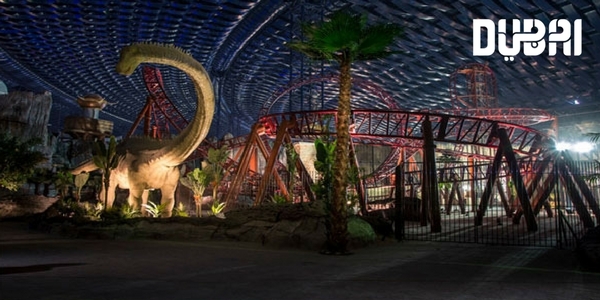 The IMG world is the world’s largest indoor theme park and has four theme zones perfect to entertain you. The zones go by the name of Marvel, Cartoon Network, IMG Boulevard and Lost Valley Dinosaur. These zones have some amazing rides like Thor Thunder Spin, The velociraptor, The Power Puff Girls, Forbidden Territory and many more. Kids can have a great time here and while they are having their fun, the adults can just hangout some restaurants or go shopping and relax. You can find restaurants Spice Valley and Samosa House for Indian food. If not that the adults can go watch movies with or without the kids. It’s the perfect place to entertain your entire family. 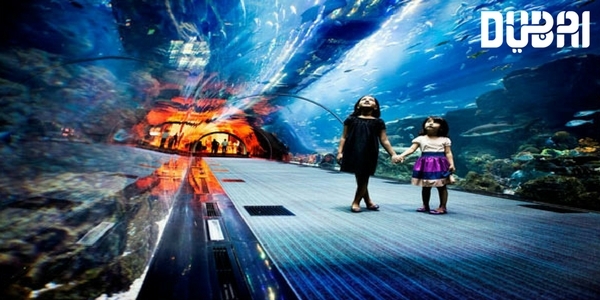 Lost Chambers is a place where you can overlook the beauties of the underwater world through glass tunnels. It has also got a touch tank where you can dare to touch starfishes and other things. It is a very innovative place and can make all ages enjoy. Aqua Venture is one of the unique water Park built along side with The Palm Atlantis. The Famous rides are Leap of Faith which will simply takes you from the height of 09 story. The other rides which attract kids are aquaconda, zoomarango, shark attack and many more. To add to it there is a Shuiqi Spa, Salon and fitness centre for adults to relax. To add to it you can also visit some of the various restaurants and food joints. Saffron restaurant serves brilliant Asian food here, you could check it out! 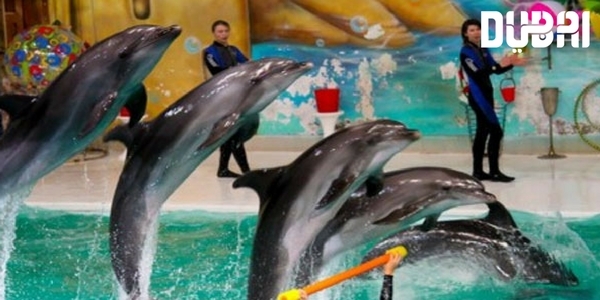 Dolphinarium is an amazing place to interact with the cutest creatures that live underwater. They have an awesome Dolphin and Seal show for visitors. 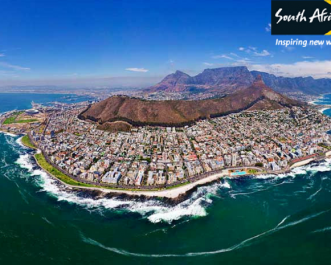 The place also gives you a chance to swim with Dolphins and if you aren’t interested in swimming, then you can also visit the 5D Cinema and be a part of the amazement. 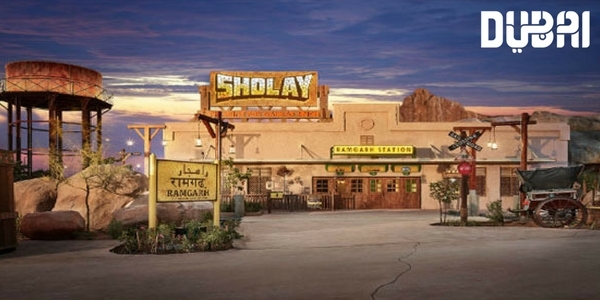 Bollywood Park is one of those very rare theme parks based on Bollywood. It is spread over an area of 1.7 million square feet. 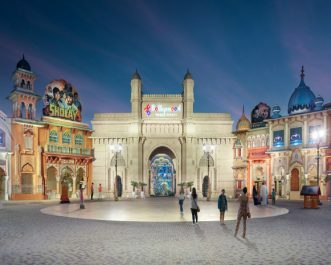 You will certainly get dazzled with the live entertainment around and the cinematic rides that are ready to enthral you! The best part is its Bollywood all around! Feels like Bombay Talkies! For fine dining experiences you can visit Spicy Dhaba, Mughal-E-Azam Shahi Dining. 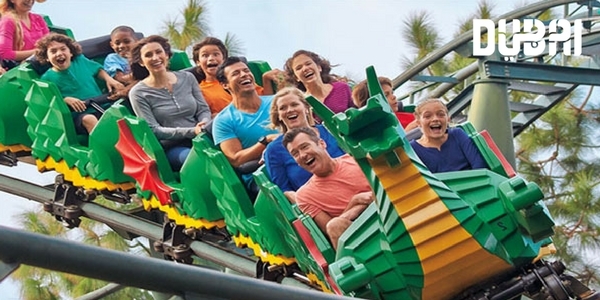 LegoLand has its own unique theme around Legos Building blocks! The park has got six parts which are based on various Lego themes like Factory, Lego City, Imagination, Kingdoms, Adventure and Miniland! 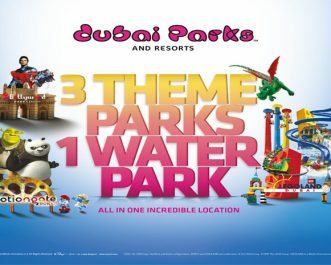 To add to the fun for Kids, they also have a water park for kids between the age of 2-12 and their families! It is a great place for kids to have fun and you get some good delicious food and amazing ice-creams as well. So, what are you waiting for? Snow Park is the largest Snow Park in the world. It is spread over an area of 3000 square meters of snow and is covered in Snow. The park is home to some Penguins clumsily tumbling their way to have fun with you and your kids. You can also enjoy skiing and other winter sports here in Snow Park. Spend some great time chilling with your family, literally! 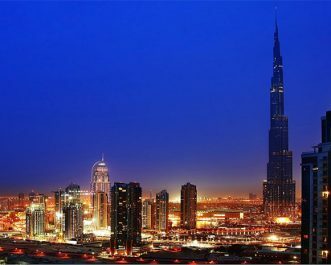 The Dubai is very proud of its star attraction “The 10 Million Litre Tank” which is the largest in world. 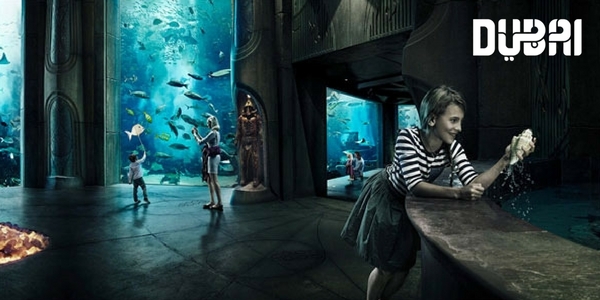 Dubai Aquarium and Underwater Zoo is the home to some 33,000 aquatic animals. It also have the highest collection of sand tiger sharks. 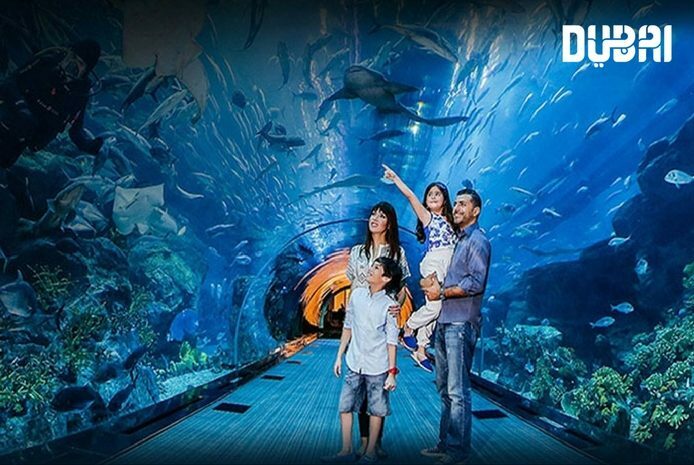 The Dubai Aquarium and Underwater Zoo is situated in the Dubai Mall which holds some 140 Species of sea life. There are various way by which one can experience the Sea life. There is one 48 meter walkthrough tunnel which provides you a complete view with Stingrays and Sand Tiger Sharks swimming overhead. 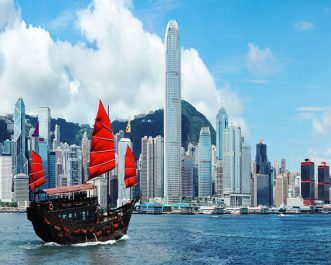 You can also take a Glass Bottom Boat tour, go for Cage Snorkelling and even swim with the sharks with oxygen tank and swimming gear. Want to Say Hello to Dolphins? 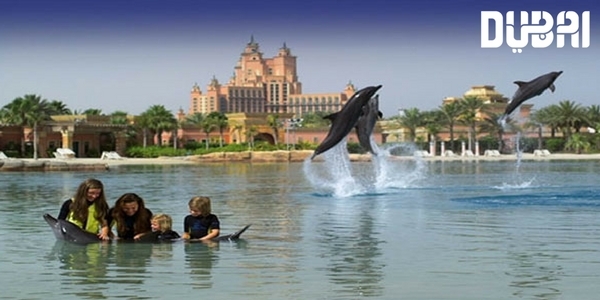 Then you must visit the Dolphin Bay located at Atlantis the Palm. In Dolphin Bay you can interact with Dolphins, swim with them and have your picture clicked with them. The Dolphin Bay is indeed a great place for everyone who visit this place. 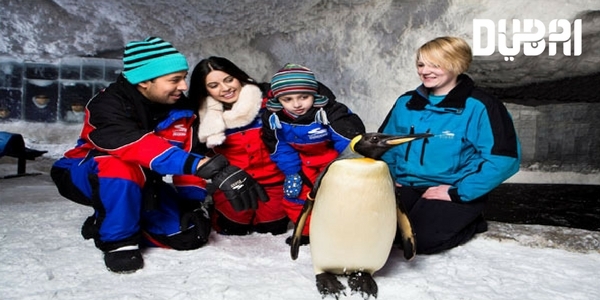 Here they befriend with Dolphins and specially the kids enjoy a lot when they visit this place. Welcome to the wonderful world! 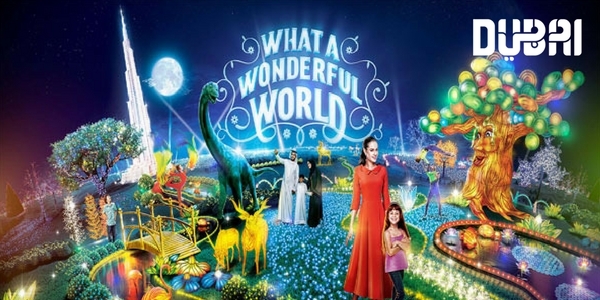 Dubai Glow Garden is a leading entertainment destination with a feature of Glow Theme for the first time. 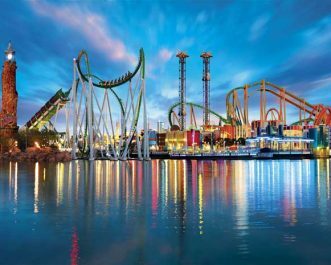 It offers two theme parks in one location. The themed destination also offers several live performances by international, regional and local artists. It also features variety of dining options with different cuisines. The structures are created by various artists around the world. The younger children can enjoy learning with fun in their dedicated area where there are multiple games and activities to keep them engaged. So get ready to witness an experience that will be one of the most special and integral part of your memories. 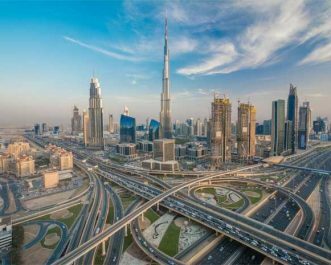 The Dome Box Dubai is located at Box Park in Dubai which is the next best thing happened to the UAE. It is a new kind of cinema where you will get a 360 degree theatre experience. These movies are no regular movies; they are specially made movies converted into this format. You will find yourself journeying through space or deep into the nature. It will be definitely be great for little ones and a unique experience for grown-ups as well. 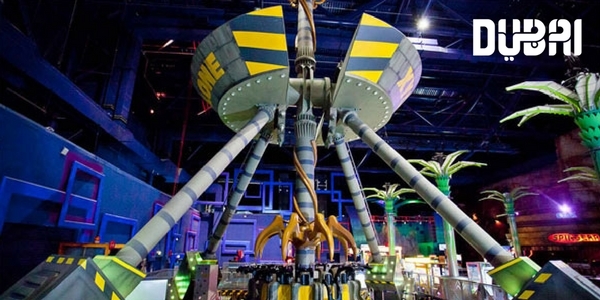 Sega Republic is a very well known indoor theme park at the Dubai Mall suitable for all age groups. 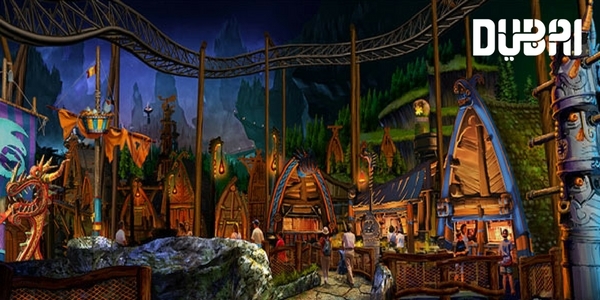 It offers five different themed zones spread over 2 levels with 9 to 15 major rides and over 250 games. It is a combination of the latest technologies with high entertainment value. Adding to the family indoor theme park, little ones can enjoy at the ‘soft play area’ which offers customized activities to keep them entertained for hours. 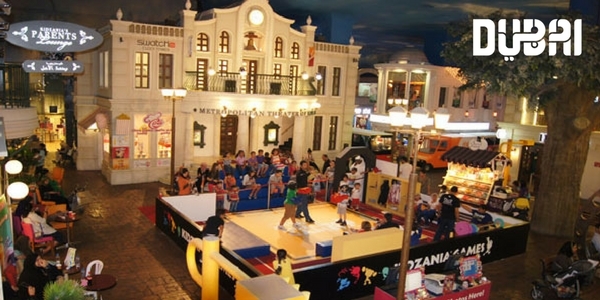 Kidzania offers a unique experience full of realistic educational environment that allows kids between all ages from four to sixteen. 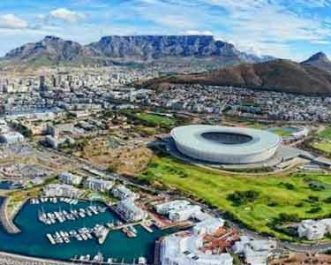 The indoor educational entertainment centre is a city built to scale for children, with buildings, paved streets, vehicles and recognizable destinations in form of establishments sponsored by leading multinational and local brands. The kids perform jobs here and are also paid for their respective performances where they earn official currencies of Kidzania for their job as a fireman, a doctor, police officer etc. The more they participate, the more they earn and the more they can experience. Hub Zero welcomes you to the new world full of entertainment and thrilling rides and attractions developed exclusively for Hub Zero. 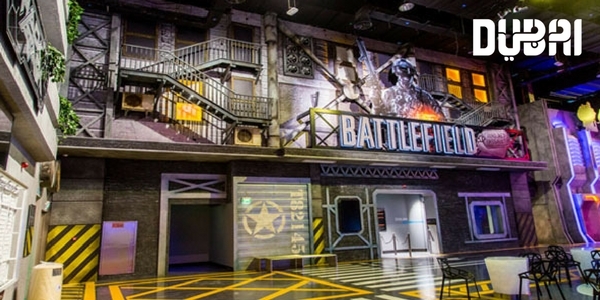 It is spread over two floors with sprawling facilities including 18 major attractions with virtual reality offering different interactive experience shaped around some of the world’s most popular video games. 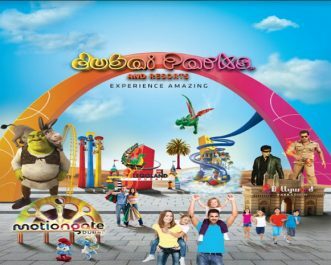 The attractions include laser tag areas, a virtual cave, dark rides, high tech driving stimulators, 3D tunnel, 4D cinema and much more. There’s also a large indoor adventure climbing zone. Kids are going to have a gem of a time here. 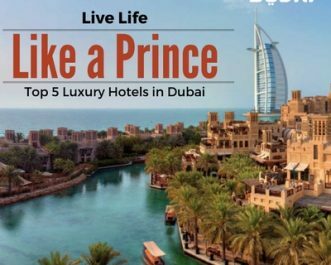 Dubai offers you an experience a Quad bike ride at the Arabian Desert. 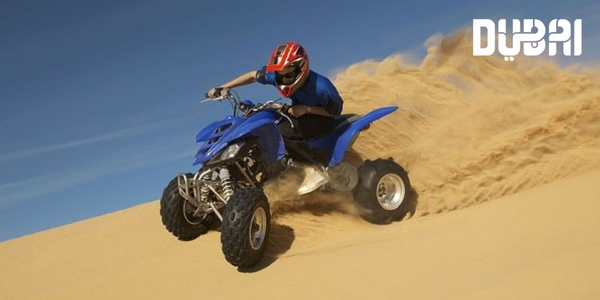 Take the thriving experience to ride a Quad bike in the sand dunes of Dubai. 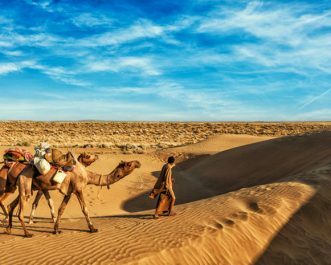 Arabian sand dunes are full of enchanting surprise, astonishing divergence and memorable experiences. 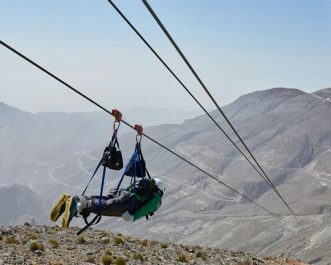 The Golden desert company is the one who organises this activity and is a member if an international group of companies which is one of the largest pioneer of rental operators in Dubai. The company is known for its professionalism and creative itineraries that they provide. 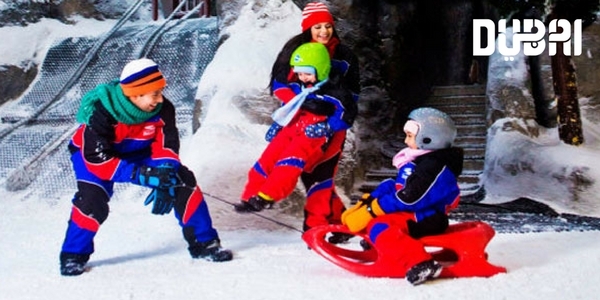 Here you will get to experience sheer delight of gliding along the ice at the Dubai Ice Rink. You just need to take the beginner’s class and let loose and join en evening disco session with friends and family. It assures unlimited fun for skaters as well as visitors. It is newly refurbished which is now more dynamic and trendy. The cafes here offer a leisurely and relaxing time for the entire family. 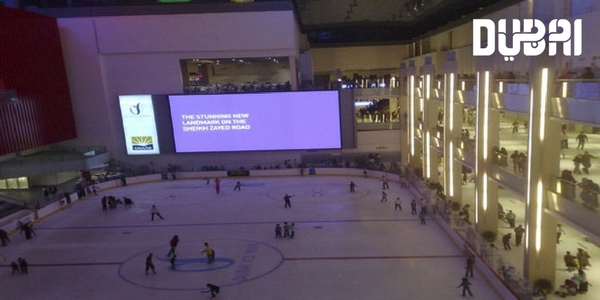 It also offer unique entertaining shows on ice adding on big screen telecast of popular sporting events. 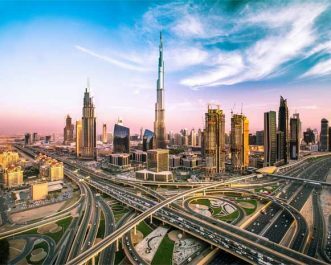 Motion Gate Dubai is one of the best in branded entertainment collaborated from three of the largest and successful motion picture studios in Hollywood which are DreamWorks Animation, Colombia Pictures and Lionsgate which offers you a completely different world of innovation and creative storytelling. There are five different zones at the centre which are Studio Central, Colombia Pictures, Smurfs Village, DreamWorks and Lionsgate. Here you will get to know things about behind the scenes, an experience with adventurous rides at Colombia Pictures, witness the magical world of the Smurfs, play the hero at the movie theme park – DreamWorks and thrilling attractions with live stage shows at Lionsgate to adore. 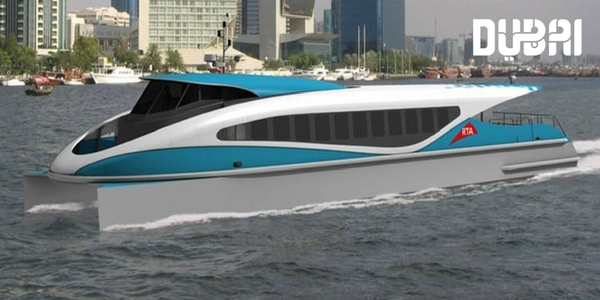 The Dubai Ferry was launched in 2011 by the RTA as an option for commutation which is constantly improving and expanding. The ferry is more of a tourist trip as there are three trips that run on the Dubai Ferry. The ferry runs multiple times in a day from each location, though the frequency and time changes at times so it would be better to check the routine regularly. The boats are designed for comfort with including snack bar on board and various other facilities. 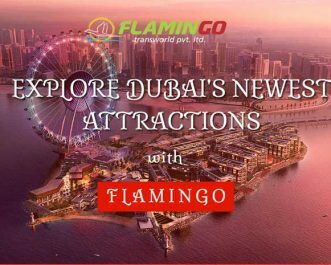 It is a great option for tourists to see the city from the sea and get a view of some of the most popular parts of Dubai. 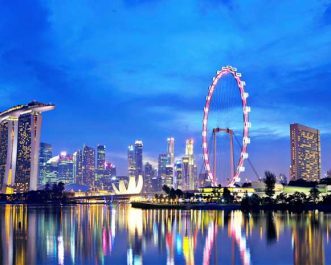 Other options for this route are quite expensive so it is totally worth taking a trip on the Ferry to explore the water ways with stunning views to stare at. Please mail me your PLAN with quotation and visa charges and other expenses if any…. Hello ma’am, Greetings from Flamingo! Your inquiry is forwarded to the concern person. They will contact you within 24 working hours. Happy to Help!